The seemingly notorious Lizard Squad is once again making headlines for launching another cyberattack. This time the victim was the website of the UK’s National Crime Agency; who had very recently arrested six individuals for being customers of Lizard Squads DDoS attack service. The story began last week when six teenagers, with ages between 15 and 18, were picked up by the NCA for launching DDoS attacks against multiple websites which included gaming services like Xbox Live and the PlayStation Network, along with Amazon.com. These attacks were conducted using the Lizard Stresser, which is simply a DDoS tool that anyone can pay to aim at a particular target. 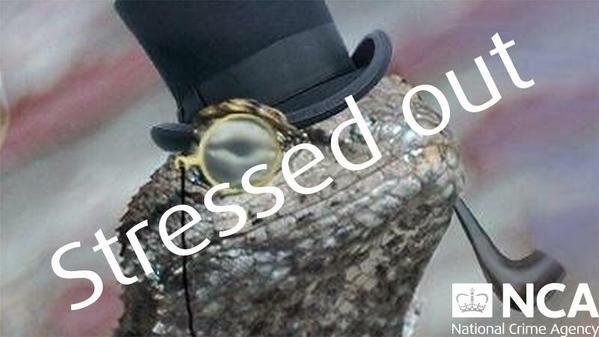 While the transaction to pay for the use of Lizard Stresser was done using alternative payment methods, like Bitcoin, to remain anonymous, the teenagers were identified when a list of Lizard Squad clients was leaked in January. The NCA has been investigating the names on the list since then, and are now beginning to move against any of them identified to be living in the UK. It looks like Lizard Squad is retaliating against the NCA for going after its clients, and took down the NCA website for about two hours. The hacking team has announced that it would also be revealing a “New Weapon coming soon”; which could have been used in the attack against the law enforcement agency. However, noting that the fact that the NCA site does not handle any critical tasks and mainly serves as an information portal, little damage was done in the attack. At the moment, the Lizard Stresser is unavailable for hire; and it could potentially be replaced by the Lizard Squads new weapon in the near future. The NCA on the other hand has a list of 50 more names of individuals in the UK who signed up for the service and is in the process of contacting them.